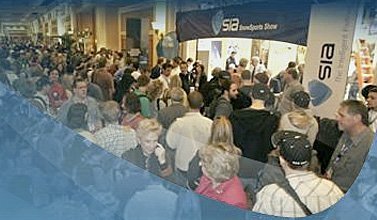 In case you haven't noticed, our coverage of the 2007 SIA tradeshow is now online. We have video tours of the new product lines from a whole bunch of manufacturers including Salomon, Orage, 4FRNT, Smith, and there's more on the way. The SIA 2007 feature is available via the link below, or in the site menu under Resources, so check back often for the latest. Videos are served using flash, and there are Quicktime/iPod versions to download for the full quality experience.&nbsp; Enjoy!